Is there any developer with a better gistory or reputation than Microgaming? Thats debateable as these guys have been around since online gambling even became a ‘thing’. Over the years they have developed some of the most popular online slots around and one of those is certainly Hot as Hades, a 5-reel, 20-payline slot that has a low to medium variance and an RTP of 96.75%. Okay, so it is themed around Greek gods which has been done time and again but if we were honest, most online gamblers are not overly interested in the theme of a slot and are more interested in whether it can make us some decent money. Hot as Hades has to be up there with the very best that Microgaming has developed in recent years if nothing else but for its playability and the pure action that can occur on the reels. The fun that can be had on this slot is second to none, so if you are interested in what it has to offer, carry on reading our short review. Hot as Hades has a rather classic feel to it and the graphics look do look good. The few animations that take place have also been done to a good quality and the overall feel of the slot is a good one. Everything has been done in a cartoon style and the backdrop is that of a fiery cave which occasionally sees the likes of Hades and Cerberus walking across the screen with some big smiles on their faces. Symbols on the reels are mainly made up of playing card symbols ranging from 10 to Ace but for the bigger payouts you will be more interested in the symbols that represent the main characters. These are Hades, Zeus, Poseidon, Medusa and Cerberus. Bonus symbols are the games logo and the Crystal Helm which are the the wild and scatter symbols respectively on Hot as Hades. These feature symbols are what canbring you some lucrative payouts, so you should always be keeping your eyes out for them. When you finally get around to placing your spin bet amount on Hot as Hades, you will be able to bet between 0.20 and 50.00 on this fixed-payline slot. This slot has obviously been aimed at players with smaller budgets but with so much action that can occur on the reels, there is still plenty of scope for larger budgets to enjoy this slot. 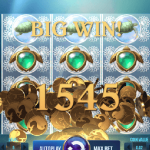 Almost all online slots will have some kind of wild symbols and while on Hot as Hades it is a fairly standard wild, it can still definitely help you to record some unexpected wins. As you might expect, the wild symbol, which is the games logo, can replicate any other symbol on the reels when it needs to in order to complete some winning combinations and bring you in some payouts. Where this wild does offer something different is through the 2x multiplier that it attaches to any wins that it has helped to create. Essentially, if you have a wild symbol as part of a winning combination, you will get double the prize. 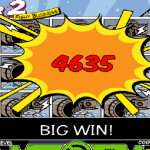 Who doesn’t like a completely random bonus mode that is triggered randomly during the base game of an online slot? You are spinning away and suddenly you get given something for free! In Hot as Hades, this will be five free spins with three additional sticky wilds that are thrown onto the reels which when found during the free spins round will stay in place until the free spins round is completed. On top of this, if you are really lucky, you might get an additional sticky wild added to the reels for every spin. During the base game you have the chance of unlocking the Crystal Helm bonus round which is a mini-game that could bring you some welcome payouts. Activated when you land the scatter symbols at least three times on your reels, this bonus game will have you picking your way through four rounds that are represented by Cerberus, Medusa, Poseidon and Zeus respectively. Each time you successfully pick anything other than the ‘block’ symbol which will end the game, you are given a random award and are able to advance to the next pick. Should you make it all the way to Zeus, that is where you are going to be able to land some of the games larger payouts. Why Play Hot as Hades? If you are the type of player that likes to play at online slots that are action-packed and fast-paced, Hot as hades by Microgaming is definitely an excellent option for you. While the action in the base game is fast and furious it is the excellent four-tiered bonus game that will give you your best shot at big wins and once activated, you can be sure of at least walking away with some kind of payout. Big reasons to play Hot as Hades at the online casino are definitely the game features but also the quality of the graphics, animations and the gameplay that it provides. The fact that this game is also mobile-optimised and can be played on anything from Android tablets and the iPhone running iOS is also a big plus for Hot as Hades. Microgaming rarely lets us down and we cannot recommend this online slot high enough for any player that is looking for a new online slot to enjoy their onlinr gambling upon. Take a look at Hot as Hades the next time you want some onine casino action and you will not regret the decision.